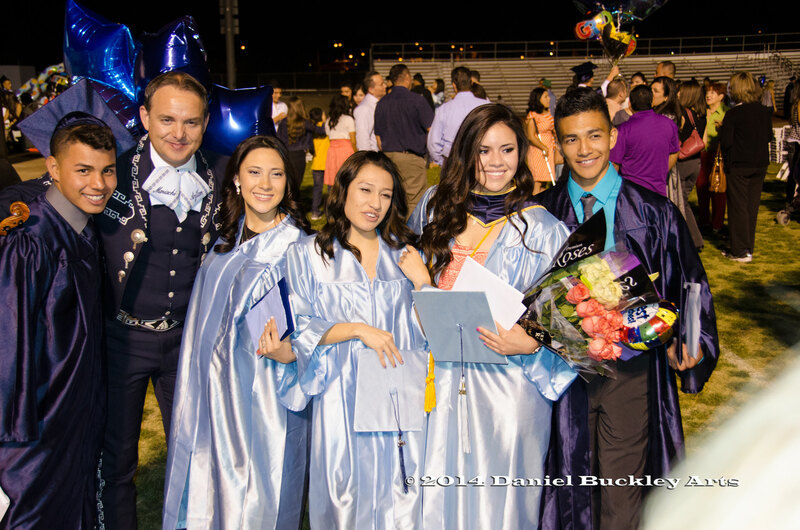 A group of 2014 Mariachi Aztlán de Pueblo High School graduates with director John Contreras following graduation. Planning has begun for a national mariachi education summit in Tucson in April, 2016. The two day gathering will bring in educators, administrators, funders and industry representatives from around the U.S. to discuss the state of mariachi education in America and map the future for such programs. A summer, 2014 meeting at a renowned Northern California animation studio, created in conjunction with the White House Initiative on Educational Excellence for Hispanics, pointed out the national breadth of mariachi programs in public schools and the common growing pains such programs are experiencing in cultivating and retaining a skilled cadre of teachers. It also pointed out the success mariachi programs are having, and their value to Latino education around the country. And with the number of Latinos in public school programs rising sharply around the nation, compounded by common problems with high dropout rates, low graduation rates and low college matriculation rates, the success of mariachi programs in effectively countering those negative trends is making them even more desirable. The Tucson summit is the brainchild of documentary filmmaker Daniel Buckley, who is currenty producing a film and book titled “The Mariachi Miracle” which details how Tucson, Arizona has been changed socially, politically, economically, artistically and educationally by youth mariachi and folklorico programs. Buckley, the 2014 winner of the Arizona Governor’s Arts Award and 2013 inductee into the Mariachi Hall of Fame, attended the 2014 California gathering as a member of the advisory board of the San Jose VivaFest! mariachi conference. Recognizing the national need, as well as Tucson’s long history with youth mariachi programs, he proposed putting together a special collaboration with La Frontera, the non-profit organization that hosts the Tucson International Mariachi Conference. Tucson has been a pioneer in mariachi and folklorico education. In 1964, America’s first youth mariachi, Los Changuitos Feos – the Ugly Little Monkeys – was started by Father Charles Rourke as a means of restoring cultural identity to young Mexican American boys. The board of the Changuitos early on recognized the need for higher education and instituted the practice of charging for performances, investing the money and using that money to create college scholarships for graduates of the program. The group traveled around the country and Mexico, planting the seeds of similar youth groups as it traveled. Fifty years, 13 generations and over a half million dollars in scholarship funds later, Los Changuitos Feos continues to go on strong. It was Chango graduates and parents who laid the foundation for the creation of the Tucson mariachi conference, inspired by the first U.S. mariachi conference in San Antonio. The Tucson conference today is the longest continuously running mariachi conference and a model for others around the U.S. and Mexico. It is at the Tucson conference that Tucson-born singer Linda Ronstadt, who serves on the advisory board of The Mariachi Miracle, got the inspiration and connections to create her platinum Canciones de Mi Padre and Mas Canciones CDs – two of the most internationally acclaimed collections of mariachi classics on record, and a game changer for the genre. The success of those CDs and the firestorm of interest they created among students caused the Tucson Unified School District to create the first curriculum-based mariachi and folklorico programs in America from elementary school to high school levels. Richard Carranza, now superintendent of schools in San Francisco, created Mariachi Aztlán at Tucson’s Pueblo High School in the early 1990s. Graduation rates for kids in his program rose from 60 percent when the program started to 90 ercent a few years after. Today the graduation rate among Mariachi Aztlán members is 98 percent. Tucson teachers and administrators experienced the same challenges others around the nation would experience later. 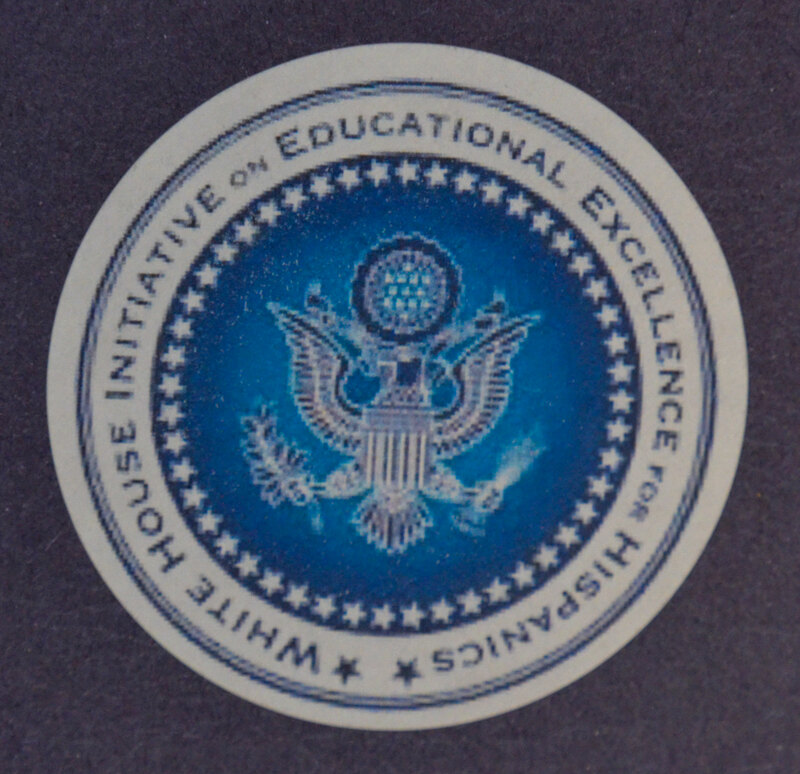 The 2016 summit will give Tucson teachers and administrators, as well as other educators and adminstration members from around the U.S., the opportunity to share information about their challenges and successes, and work towards a national strategy to build increasingly successful programs in schools across the country. Funders will be invited to interes them in the work that is being done. And industry representatives will likewise be invited to make them aware of these programs and their potential for yielding the highly skilled labor force needed for America to compete economically on the world stage. 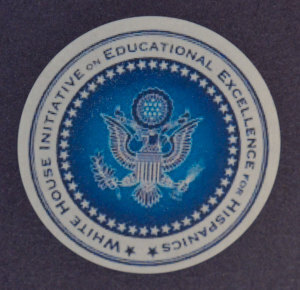 The White House Initiative for Educational Excellence for Hispanics will again be helping provide guidance and connect sources for the event. In addition to the sumit, the Tucson International Mariachi Conference will be bringing in artists featured in The Mariachi Miracle for its Espectacular Concert. The normal student workshops, Participant Showcase concert and Garibaldi event will also take place. Time will be left in the education summit so that participants in that gathering can go and see the mariachi conference in action. Rounding out the special festivities is the start of a summer-long exhibit on Tucson’s mariachi and folklorico history created by the Arizona Historical Society. All trascripts for the film will be turned over to the historical society at he close of the project for study by community members and scholars. The cluster of events will run from April 19-26, 2016. The Mariachi Miracle documentary will premiere April 18, 2016 and the national summit on mariachi education in Tucson will be held April 19 and 20, 2016. The Tucson International Mariachi Conference will run April 19-26. The committee to outline the panel discussions for te mariachi summit is forming now. If you might be interested in joining the committee or adding to the discussion, contact Daniel Buckley at dbtucson@gmail.com. There is still much fundraising to be done, both for the final 18 months of film production and book writing, and for the summit, museum exhibit, etc. A tax deductable location for making donations has been set up through La Frontera. ~ by Daniel Buckley on December 3, 2014.